One of the premier spring travel tournaments returns this weekend. The 2015 NY2LA Sports Spring Extravaganza has another loaded field with a number of top programs from the Midwest in attendance. Opening night features numerous intriguing matchups as some of the Midwest’s top players will square off against one another. Northwestern commit Rapolas Ivanauskas committed early and he’s showing why other programs shouldn’t have slept on him. The versatile combo forward is a mismatch nightmare, but he’ll get a stiff test from the Wisconsin Shooters. Three class of 2017 prospects, Andrew Lewis, Jamel White, and Jamal White are under the radar prospects in Wisconsin with good upsides. 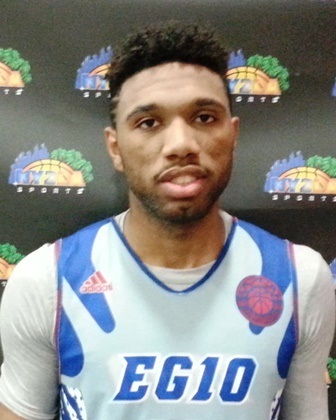 Touted shooting guard Eron Gordon leads EG10 into a great matchup with the Wisconsin Swing, featuring Northern Iowa commit Juwan McCloud, one of the most exciting players in the tournament. McCloud isn’t alone for the Swing, as he’ll pair with under the radar stretch forward Max Keefe, whose three-point shooting ability often catches teams by surprise. 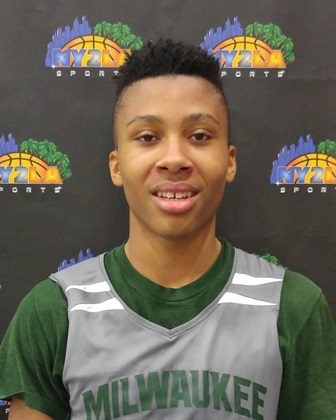 Fresh off their 17U title at the NY2LA Sports Spring Extravaganza, the Milwaukee Spartans look to defend their crown in Mequon. Led by exciting, fast-rising point guard Te’Jon Lucas, the Spartans have made a name for themselves this spring. 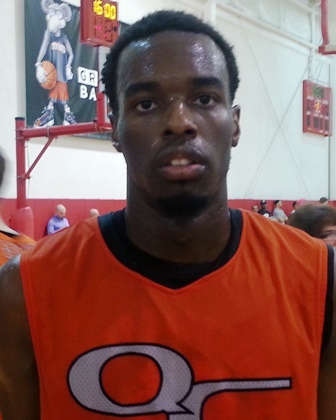 Nebraska commit Isaiah Roby and Quad City Elite will be their opponent on opening night. Always loaded with solid team-first players, Donovan Oliver, Noah McCarty, Isaac Gaasman and company are never an easy out. 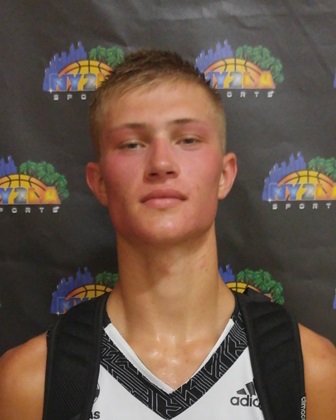 The Playground Warriors are loaded once again and feature a dynamic one-two punch of Kobe King and Luke Loewe, both high-major caliber prospects. There’s no shortage of talent on this team either as T.J. Schneider, Bailey Kale, Tyree Eady, Adam Smith, and Trey Davis are all quality prospects. High-scoring combo guard Shawn Pipes and the Stars are always capable of an upset. One of the top players in the 16U division, Tre Jones, brother of former Duke point guard Tyus Jones, will be on hand in Mequon. He’ll lead one of the tournament favorites, Howard Pulley, into an intriguing opening night matchup with the Playmakers. While Howard Pulley is a guard heavy lineup, the Playmakers will counter with power, led by Bennett Vander Plas and seven-footer Owen Hamilton. EYBL versus Adidas Gauntlet. Two premier travel programs face off in the 16U division between Playground Elite and EG10. Playground Elite features three prospects with Division 1 offers in Jordan Poole, Philip Flory, and Terrence Lewis. They’ll have to find an answer for the talented 6-foot-4 shooting guard De’Von Cooper, who holds three early Division 1 offers. NESYB has made a lot of noise at NY2LA events in the past. Guards Storm Murphy and San’Trell Payton are rising stars in Wisconsin that have a knack for the clutch play. The Illinois Irish aren’t too shabby in their own right. 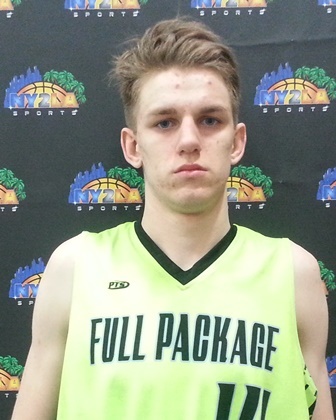 Featuring one of the top players in Illinois’ class of 2018, Tim Finke, the Irish have a couple of explosive weapons, including speedy guard Devin Whitelow. Always capable of a deep run, Wisconsin United gets a good test on opening night. Brunard Williams, Tyreese Haliburton, and Jay Gentry are three of many rising up and comers on the roster. EG10, another tournament favorite in 15U stands in their way. Touted 2018 point guard Jordan McCabe runs the show for a loaded Playground Warriors lineup. They feature some of the top up and coming talent in the state of Wisconsin such as Tyler Hero, Keshawn Justice, Re’Montae Blakely, Jack Plumb, and don’t forget the seven-footer from Minnesota Adam Trapp. Howard Pulley is a force to be reckoned with as well. The trio Ryan Larson, Daniel Oturo, and Delawrence Aaron is a fun one to watch.